Saffron Books’ forthcoming Cho Dong-il’s History of Korean Literature is a magisterial work, perhaps the most comprehensive narrative on the subject in any language other than Korean, encompassing milestones, events and personalities in one of the most engrossing bodies of world literature, writes Sajid Rizvi, Publisher and Editor-in-Chief of Saffron Books. This monumental book, published in conjunction with the Academy of Korean Studies, Seoul, is part of Saffron Korea Library Series. Visit SaffronBooks.com. This English translation of the six-volume original serves as a foundation for and stepping stone to further study of Korean literature. In developing this edition, Saffron has introduced numerous features that are not part of the Korean edition, including comprehensive indices. 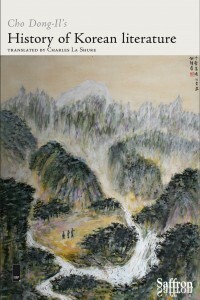 The cover of the book features a painting by the author. Translated by Charles La Shure, Cho Dong-il’s History of Korean literature offers a comprehensive examination of the history of Korean literature, both written and oral, and inquires into its relationship with world literary history. He places Korean literature within its proper cultural, philosophical, and political contexts, tracing the threads that run through it from ancient times to the 20th century. Cho Dong-il’s History of Korean Literature traces the development of Korean literature from its beginnings in paleolithic times through the ancient and medieval eras, the important transition from medieval to modern Korea, and the Japanese colonial period, which ended in 1945. Dr Cho, a pre-eminent scholar of Korean literature, demonstrates how inextricably the threads of history, literature, and philosophy are interwoven, providing the necessary background to understand Korean literature as an unbroken tradition of thousands of years. His theories of literary branches and tendencies, as well as his unique understanding of the relationships between historical eras, provide a deeper and more flexible framework for interpreting Korean literature than traditional genre and periodization systems. 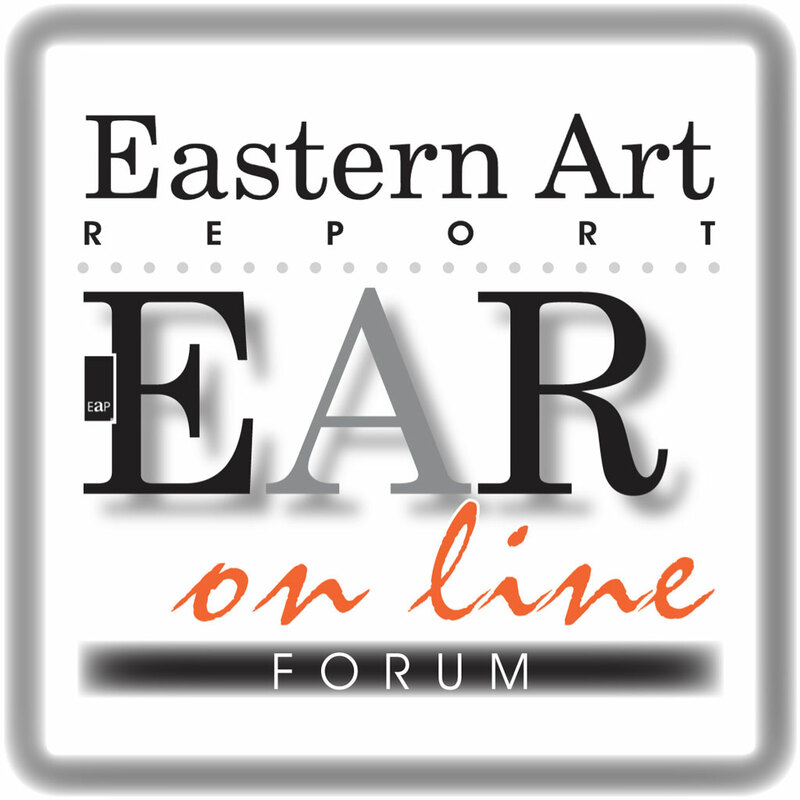 Lastly, he goes beyond regional boundaries to examine the place Korean literature occupies in world literature. 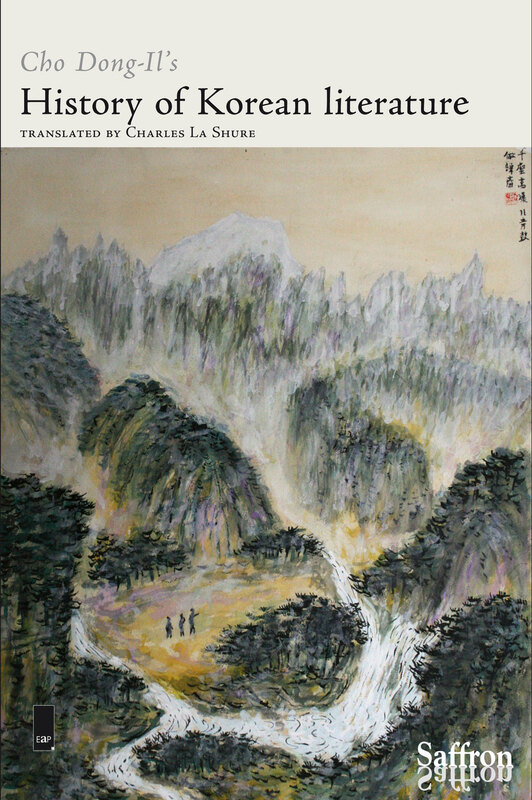 This edited translation serves as an introduction to Korean literature, maintaining the important theoretical framework and underlying theories that make Dr Cho’s work the premiere textbook that it is in Korea, but also focusing on the more significant aspects of Korean literary history so as not to overwhelm the reader. Professor Cho Dong-il has been teaching Korean literature for 45 years, primarily in Korea but also in France, Japan and China. He has spoken to academic audiences in sixteen countries around the globe. His contributions to the fields of Korean literature and Korean Studies include over seventy books and over two hundred papers; of his recent books, A Theory of Learning (2012), serves as an approachable introduction to and summary of his vast body of research, while Where Now for Literary History? (2015) offers his thoughts on the future of the discipline. He is currently professor emeritus at Seoul National University and a member of the National Academy of Sciences of the Republic of Korea. Charles La Shure holds a doctorate in classical Korean literature with a specialization in oral literature from Seoul National University. In addition to his academic research, he works as a translator of academic and literary texts from Korean into English; recent previous translations include the novel Black Flower, by Kim Young-ha, and the novel Scenes from the Enlightenment, by Kim Namcheon. He is currently a professor in the Department of Korean Language and Literature at Seoul National University. This book is an abridged translation of my Hangungmunhaktongsa (A Comprehensive History of Korean Literature). The first edition of that book was published between 1982-1988*, the second edition appeared in 1989, the third edition in 1994, and the fourth edition in 2005. All editions of the book have been published by Jisik Sanup Publications, Seoul. Hangungmunhaktongsa comprises six volumes, including an extensive and separate appendix. It deals comprehensively with all aspects of Korean literature and delves deep into the specifics of research in the field, and thus is not suited for the wider foreign audience. For some time I had felt there was need for a single-volume version of this substantial body of research and had begun work towards that objective early on. My long collaboration with Dr Daniel Bouchez resulted in the 2002 publication of Histoire de la littérature coréenne des origines à 1919 (History of Korean literature from its beginnings to 1919) through the French publishing company Fayard. We were co-authors and co-translators of this book. I began a similar collaboration with Dr Marshal Pihl in the United States, but the project sadly was abandoned after Dr Pihl’s passing. I resumed my search for a collaborator to continue the project. My efforts, fruitless at first, were finally rewarded and my hopes fulfilled when I met my collaborator for this volume, Charles La Shure, an American academic colleague. After coming to Korea, Charles La Shure entered the graduate school at Seoul National University and received master’s and doctoral degrees. He is familiar with both the Korean language and Korean literature, and during the long time he spent studying with me, he gained a detailed understanding of my academic theories. He has taken my lectures and also helped in my research. He majored in creative writing as an undergraduate in the United States, and his English writing skills are excellent. He also has experience translating Korean literary works into English, and has achieved outstanding results through these efforts. He is the most qualified individual for the task of creating an English edition of Hangungmunhaktongsa. The Academy of Korean Studies did not hesitate to support us with a grant, allowing us to begin the project. The French edition and this English edition differ in a number of ways. The French edition is based on the third edition of the original, while the English version is based on the fourth edition. Up until the third edition, I dealt only with Korean literary history, but in the fourth edition I dealt more with the relationship between Korean literature and world literature, so the contents of the translations differ in that regard. In creating the French edition, the original edition was condensed and rewritten, but in creating the English edition, we selected the most important content and translated this more or less in full. The French edition deals only with literature up to 1919, while the English edition extends through the Japanese colonial period, but places more emphasis on later literature than earlier literature. The two editions are complementary to each other, and reading both will provide a more complete picture. In creating the English edition, we divided up the work load. I handled the general selection of material to be translated, while Dr La Shure took care of the smaller details. After Dr La Shure translated sections of the book, I read and examined these translations, and we worked together to address and correct any problems or issues. Of course, Dr La Shure invested the greater effort in this process. The primary aim in selecting content was to make the finished translation easily understandable for English-speaking readers. We decided not to include content that was too complex or intricate, making it difficult to translate or requiring too many unfamiliar terms and proper nouns. We dealt in brief with early literature and in more detail with later literature. Both the main text and passages quoted from literary works were translated with readability in mind. The bibliographies included at the end of each section in the original work have been omitted. For these reasons, the English edition has not a few inadequacies. It is our hope that this book will serve rather as a guide to Korean literature for English-speaking readers, and that readers wishing to explore Korean literature further will make an effort to study the Korean language and read the original Korean edition, Hangungmunhaktongsa. 이 책은 Cho Dong-il이 한국어로 쓴 한국문학통사 (A Comprehensive History of Korea Literature) 의 축약 번역본이다. 한국문학통사는 1982-1988년에 제1판이, 1989년에 제2판이, 1994에 제3판이 나왔다. 전면 수정한 제4판이 2005년에 나왔다. 출판사는 계속 서울의 지식산업사이다. 한국문학통사는 별책 부록을 포함해 모두 6권의 분량이다. 한국문학의 전 영역의 수많은 사항을 거의 빠짐없이 다루고, 연구 상황을 자세하게 소개해 외국인이 이용하기는 어렵다. 한 권으로 축약해 외국어로 소개하는 작업이 필요하다고 여겨 일찍 착수했다. 오랜 노력 끝에 Cho Dong-il과 Daniel Bouchez의 Histoire de la littérature coréenne 가 프랑스 파리 Fayard 출판사에서 2002년에 나왔다. 우리 두 사람이 그 책의 공저자이고 공역자이다. 같은 방식으로 영어판을 만드는 일을 미국인 학자 Marshal Pihl 교수와 함께 하다가 애석하게도 세상을 떠나서 중단하지 않을 수 없게 되었다. Marshal Pihl 의 뒤를 이을 분을 찾다가 뜻을 이루지 못했다. 그러다가 Cho Dong-il 은 다행히 미국인 동학 (academic colleague) Charles La Shure 를 만나 소원을 성취하게 되었다. 이 사람은 한국으로 유학 와서 서울대학교 국어국문과 대학원에 입학해 한국고전문학 전공으로 석사학위를 받고 박사학위 과정에서 공부를 계속하고 있었다. 한국어와 한국문학을 잘 알고, 오랜 기간 동안 함께 공부해 내 학설을 소상하게 이해한다. 강의를 수강하면서 내 연구에 동참하기도 했다. 미국대학에서 문예창작을 전공해 영어 문장력이 뛰어나다. 한국문학 작품을 영어로 번역한 경험이 많고 그 성과가 뛰어나다. 한국문학통사 영어판을 만들 수 있는 가장 적임자이다. 한국학중앙연구원에서 번역비를 지원해주어 주저하지 않고 착수할 수 있었다. 불문판과 영문판은 몇 가지 점이 서로 다르다. 불문판은 제3판을, 영문판은 제4판을 대본으로 했다. 제3판까지에서는 한국문학사를 그 자체로 다루다가 제4판에서는 한국문학과 세계문학의 관계를 더 많이 취급했으므로 옮겨놓은 내용도 달라졌다. 불문판을 만들 때에는 원문을 축약해 재집필했으나, 영문판은 대부분의 중요한 내용을 가려내서 번역했다. 불문판은 1919년까지의 문학만 취급하고, 영문판에서는 그 뒤의 문학을 더욱 중요시해 큰 비중을 두었다. 두 책을 함께 읽으면서 특성을 서로 보완하게 하면 도움이 될 것이다. 우리 두 사람이 영역본을 함께 만들면서 일을 약간 분담했다. 번역할 내용을 가려내는 일은 Cho Dong-il 이 주로 하고 Charles La Shure가 세부적인 사항을 맡았다. Charles La Shure가 일단 번역한 원고를 Cho Dong-il 이 읽어 검토하고 문제점이 발견되면 함께 수정해 완성했다. 그 과정에서 Charles La Shure 가 더 많은 수고를 했음은 물론이다. 영어권 독자들이 이 책을 쉽게 이해할 수 있도록 하자는 것이 축약의 기본방침이다. 내용이 너무 복잡하고 까다로워 영어로 옮기기 어렵거나 고유명사가 너무 많이 들어간 대목은 넣지 않기로 했다. 이른 시기의 문학은 간략하게, 가까운 시기의 문학은 자세하게 다루었다. 인용 작품이든 본문이든 적절하게 의역해 읽기 쉽게 하려고 했다. 세부항목마다 갖추어져 있는 참고논저는 생략했다. 그렇기 때문에 미흡한 점이 적지 않다. 이 책을 안내서로 삼아 한국문학을 공부한 독자가 장차 한국어를 본격적으로 공부해 한국문학통사 원문을 읽기를 간절하게 바란다.